Part# AS0016 - AussieSpeed. 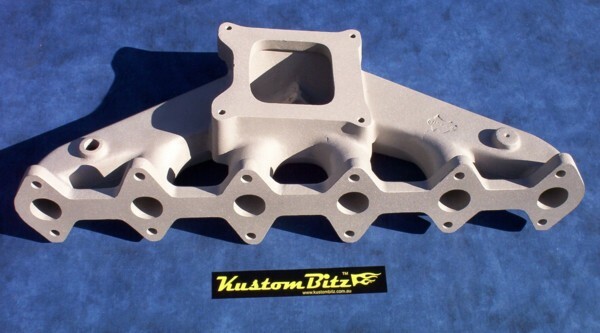 Small port, open plenum 4 barrel manifold to suit Ford 250 4.1 alloy head cross flow engine as used in XE XF Ford Falcon,TC TD TE TF cortina with Alloy Xflow head. 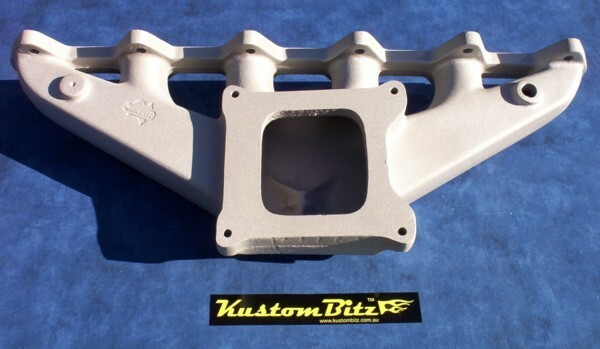 Suits all crossflow engines.This manifold will work well on street/strip naturally aspirated X-flow engine with it's open plenum and wide entry into small port runners sized to match the head ports, gives a high air speed at idle and low rpm, which makes camshaft selection a little more forgiving for the home mechanic and a good streetable package. A vac secondary 4 barrel is recommended if you intend to use standard stall converters and standard rear end gears. Good street set up to allow you to ring your crossflow's neck right off from idle and get all the fuel you need into it. 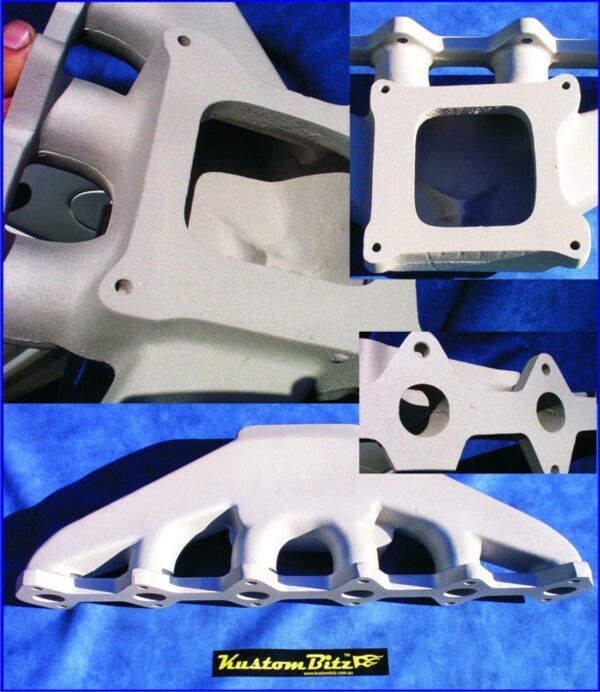 #1 performance manifold for all applications, street, speedway, circuit and drag racing. Number one in eveness of flow to all cylinders, proven performer, most talked about product for Ford sixes. Make more power with AussieSpeed.